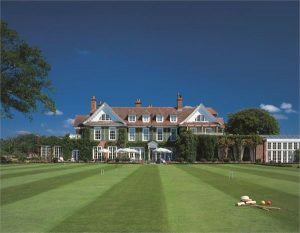 Award winning Chewton Glen stands in 130 acres of idyllic parkland and offers a luxurious and versatile setting for weddings, civil ceremonies and partnerships. With a rich history dating back to the early eighteenth century, the hotel offers a lavish fusion of traditional features and contemporary facilities. Situated close to the sandy beaches of the south coast and the leafy retreat of the New Forest, guests can enjoy a variety of scenery whilst visiting. Offering 58 beautifully appointed rooms and suites and 12 sumptuous treehouses there is plenty of space to relax and extend your stay. For a truly opulent experience, take advantage of the spa with its 12 treatment rooms and a wide range of therapies. Whether you want to create a bespoke vision to reflect your personality or fancy a stress-free all-inclusive package, there are plenty of options to choose from. 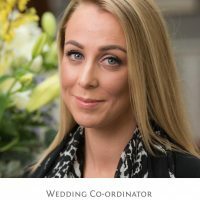 Chat to the dedicated wedding coordinator to discuss how Chewton Glen can help you make memories that last a lifetime. 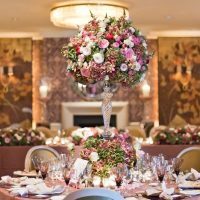 With nine exquisite settings to choose from, there is a myriad of options for indoor and outdoor celebrations and ceremonies. Accommodates up to 150 ceremony guests, 140 dining guests or 180 reception guests. Awash with natural light, this gorgeous room is richly decorated and exudes a warm and intimate ambiance. Located adjacent to an elegant lounge the Lake Suite also has access through the full-length French doors onto the private terrace overlooking the grounds. Accommodates up to 100 ceremony guests or 55 dining guests. Neutrally decorated the Summer House conservatory provides a blank canvas for your celebration vision. Full-length windows provide stunning views over the picturesque grounds and superb lighting for photographs. Accommodates up to 90 ceremony guests or 80 dining guests. 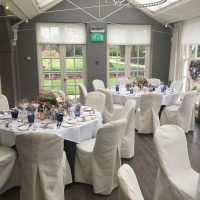 The Garden room is classically decorated in neutral tones making it an ideal setting for ceremonies and breakfast celebrations. Warm lighting and a quirky glass fronted wine cellar lend to the elegance of the setting. Accommodates up to 28 dining guests. Accommodates up to 20 dining guests. Dressed in plush warm tones the Wine Room is aptly named after the glass-fronted wine cellar. This cosy and inviting setting makes the perfect setting for smaller gatherings. During warmer months, couples can choose to celebrate their union in the bewitching Walled Garden. Enjoy the heady scents of the herbs and flower beds and relax in the vine covered alfresco space. 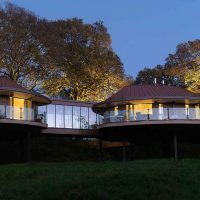 Accommodating up to 10 guests the Treehouse Hideaway Suite is perfect for cosy ceremonies. Luxury features include outdoor hot tub, wood burning stove, underfloor heating, soft romantic lighting and breathtaking views of the woods and surrounding countryside. Accommodating up to 20 guests. 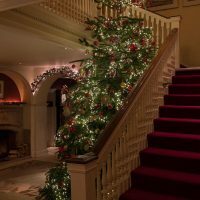 The Marryat Suite is located within the main house and boasts a stunning lounge, private terrace with hot tub and a host of other deluxe surprises. Accommodating up to 80 guests. Beautifully bathed in natural light from the skylight and windows overlooking the lawn, the morning room is a sophisticated setting; perfect for your wedding photos.